I have long been unpopular with fans outside of Duke for taking the stance that Coach Michael William “Mike” Krzyzewski is the best College Basketball Coach of all time. I say that to the exclusion of each and every one of the acknowledged greats. The problem I usually have is that this is where people want to bare their fists and debate vociferously … and they stop listening. My purpose here is to try and finally be heard on why I make such a seemingly outlandish claim. Each coach has had to win within the confines of what the game was during their tenures. They also had to deal with how college basketball evolved. Unfortunate as it might seem to comprehend, there were programmes led by renowned racist coaches who not only refused to recruit black players, but also refused to play against schools that did. Going back to my earliest personal recollections, there was Lew Alcindor and Elvin Hayes. Both would have been so heavily recruited today that it might cause the NCAA’s Oversight Committee to have a nervous breakdown. They were not though. It was because there were only a handful of “major” programmes then. Then there were coaches who so mastered control of the clock, with a mind numbing number of passes, before shooting, that the Shot Clock was introduced. There was a time when Referees called infractions such as “Palming,” “Back Court,” a “Moving Pick,” or even “Walking.” (aka “Travelling”) When two (2) players held the ball at the same time, they were whistled and a “Jump Ball” was executed on the closest Foul Line. There was no silly “Possession Arrow” enacted because it seemed so wrong to see a Center have to “jump” against a pint sized Guard. Poor Babies !!! These great coaches of over 100 years, and all those others I didn’t mention because of space restrictions, had to deal with seemingly Neanderthal players, uncomfortable venues, and little or no physical training. They went from games on radio, to black and white television, to taped games broadcast on the weekends, to colour television, to internet streaming. They usually travelled everywhere on a bus. Now programmes often have their own plane, shared by different school sports. Their situations were as different as the style of uniforms from then to now. There was no Spandex, no moisture-wicking undergarments, or the extra padding of today. Back then, there were knee-pads, which also were used on elbows. Mouth guards were for football players. “Sneakers” were called “Cons” and came in only two (2) styles and colours. Sweat Bands were worn on your wrists and one your forehead because they were meant to be functional as opposed to a style statement. So, here’s my claim. None of the teams, or these coaches of yesteryear could hold a candle to today’s college basketball. It is an existential impossibility for each era. Players of yesteryear were not in the type of shape today’s player is. Yesterday’s player would not have been exposed to the level of play today’s players have been by the time they get to college. Freshmen, or “Frosh” were not allowed to play on the “Varsity.” Players would not be as game savvy as today’s players either. Yes, John Wooden won an incredible number of games (80%) and is loved for his wit and wisdom, and his refusal to allow his players to curse. Today’s acceptable “trash talking” by both players and coaches would have made him blush. That’s why some say he was too much of a “Goodie Two Shoes.” For my money, he ought to be in a category of his own. It was his stewardship of the college game that got us to today’s game, but he ought never be compared to today’s coaches. My problem is that comparing yesterday’s programmes to those of today is simply not accurate nor faire. So let’s quit comparing statistics because numbers only tell a modicum of the story, and since each is unique unto itself, any comparison is mere uninformed conjecture. I’ve been known to say that not even an All-Star UCLA team could hold a candle to the same bunch of players in each of the last 30 years. I know, I know … that’s considered some type of sacrilege, but it’s the truth. Pat Summitt was yet another formative personality in Women’s College Basketball, but to compare Men and Women’s Basketball is WRONG, WRONG, WRONG !!! Pat Summitt won during a time, like John Wooden, when there were a handful of comparable college teams. Pat Summitt’s coaching career begins in 1974, when Women’s College Basketball was not even an NCAA sanctioned event. It was not until the 1981-82 season that Women’s College Basketball had a National Championship Tournament, so THAT season is where her comparative career counting ought to begin !!! That is not to detract from her lifelong accomplishments, but just because, Title IX was enacted in 1972. There were few competive programmes in those days, and not enough to hold a meaningful Championship for another 10 years. Title IX was that dubious law that contains so much more than forcing colleges to “just let girls play sports” and was not enacted until 1972. Today’s players are as different as the uniforms of yesteryear. They are in better shape because of better conditioning, coaching, and facilities. They are sharper shooters. They are also tougher, more motivated, and even bigger. A guy who has led 5 teams to National Championships. He did so with players who were not always the highest ranked. What set them apart was that each and every member of those teams had accepted his vision for them. A vision of how to win and being everything you can be. A guy who, I like to believe, still places a premium on matriculation and expanding one’s horizons by giving back to society, and he leads by example. As a late-comer to today’s “one-and-done” environment, Coach K has often rationalized that those kids leaving early are simply taking advantage of a job offer. A guy who has seen so many of his former players go on to coach that the list seems endless, because it keeps expanding every year. A guy who has brought back the dignity of Team USA back to where it belongs. A guy who is proud of his West Point background and the discipline it instilled in him. I consider him a Patriot, and so does the Association of the US Army. They have bestowed their highest award, the 2014 George Catlett Marshall Medal upon him. That’s General George Marshall, the Chief of Staff of the Army, Secretary of State, and Secretary of Defense during World War II and afterward. A husband, father, grandfather, and patron of children’s charitable efforts right down to the (Jimmy) V Foundation. I doubt that there has ever been a better standard-bearer and “Godfather of College Basketball” than Coach K.
So, instead of making empty and unfaire comparisons to predecessors, why not let’s just recognize those former greats. Let’s acknowledge them with high kudos for who and what they were when active by era. That then allows me to say that Coach Michael William “Mike” Krzyzewski, AKA “Coach K” is the greatest active college basketball coach. It is not because he has a plethora of wins, surpassing 1000 wins in 2015, or because he has won more games than anyone else in NCAA history. It is because he has learned from the greats, and shepherded the evolution of the college game. He has risen above some of the regrettable trends the college game has seen, and been vocal about the need for change. Some have postulated about the number of years he will remain at Duke, if he has changed his approach to the game, and who might be his successor. They are all great topics for debate, and I have weighed in on many occasions, enjoying the hypotheses of others. The more important thing for Duke fans is that, for now and the foreseeable future, he calls Duke his home and where his heart is. That’s good enough for me !!! Everyone will remember that Amile did not commit to Duke until the middle of May, 2012. He was the 21st overall recruit and was also being actively recruited by North Carolina State. Their loss, big time !!! “There is a lot of talk these days of Grayson Allen’s part in the comeback in the Championship Game, but there would have been no victory if not for Jefferson’s defense on Player of the Year, Frank Kaminsky, in the closing moments of the game. So it was no surprise that last season got off to an incredible start for Amile. When he went down to yet another Duke foot injury in Nike shoes, he averaged a “Double-Double” in his 9 games. There was no replacing that dominant of a player. In the 2012-13 season, right from the start, Amile contributed in 32 of 36 games. He was 5th in Rebounds and 3rd in Blocked Shots. He was considered to be #7 on the team Depth Chart. In the 2013-14 season, Amile played in all 35 games. While only averaging 22.7 minutes per game, he was 2nd on the team in Rebounding and Blocked Shots. The true impact of Amile as a leader had begun to show, and it was nice to watch. In the 2014-15 National Championship season, Amile, then a Junior, was named Captain with Senior Quinn Cook. Both had stellar seasons as leaders along with the 4 Headliner Frosh. Playing in all 39 games, Amile averaged only 21.3 minutes per game. He was the 3rd best Rebounder and Shot Blocker for the team. Amile was granted a medical Red-Shirt for his Senior season last year after playing in only 9 games, being injured in Practice. This year he returns after putting on 9 lbs of obvious muscle. His chiseled Profile Picture showing it off. Amile is the only player in Duke history to be named Academic All-American every year since enrollment !!! Let’s hope for a healthy and prosperous season for Amile !!! 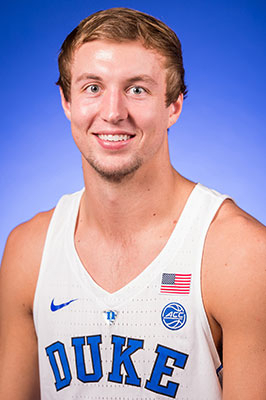 There are few players who fully matriculate these days, so it’s particularly important to recognize a guy who has consistently contributed at Duke for his entire career, while on track to graduate with the class he arrived with. Well, as usual, Ro was right. It ought to be noted that Matt committed to Duke in November of 2011, well before he would enroll and play with the 2013-14 team. Few players have been recruited so far in advance. Jay (then Jason) Williams was another. 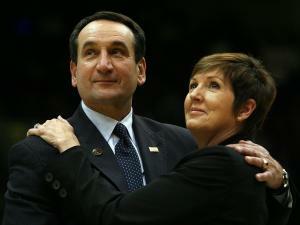 That means, quite simply, that Coach K knew early on that Matt was a Duke-type player. In the 2013-14 season, while this was the Jabari and Rodney team, Matt still appeared in 32 of the 35 games. Interestingly, in 235 minutes, he pulled down 27 Rebounds and logged in 11 Steals. In the 2014-15 Championship Season, Matt found his way into all of the 39 games and became that pivotal presence player who could impart his calming effect when things got frenetic. His 37 Steals and 39 Assists ranked him 4th on the team in both categories. He shot 45% from the Floor, 38% from outside the Arc, and 72% from the Charity Stripe. Last season, Matt played in 35 of 36 games, while logging in 3rd most minutes. As the 3rd Best Scorer on the roster, Matt shot 40% from the Floor, 42% from outside the Arc, and 74% from the Charity Stripe. He ranked 3rd in both Assists and Steals. Having always to be ancillary to star-studded teams, Matt has had the uncanny ability to be a reliable contributor and excellent teammate. His leadership and steadiness are his greatest skills, and they will be called upon again this year. This year he will again be needed to be a leader with a unique mixture of upperclassmen and Frosh. I’m not even sure if he’ll be a Starter, but I can guarantee you that “Cazzie” will be right there, making a difference some how, some way. In the end, I sincerely hope he can be part of yet another National Championship team. Go get ’em Matt !!! PS: Keep the beard, it looks great !!! There are few college basketball programmes that consistently attract young men who not only want to play, but also want to fully matriculate. 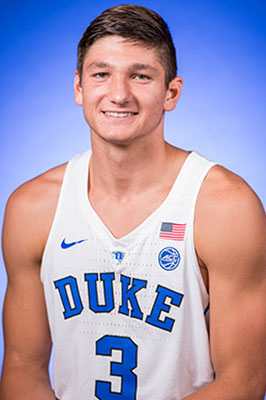 Grayson Allen is yet another in a long line of players who come to Duke more than just to play for Coach K, but to acquire a Diploma. He is just the 6th Duke player to garner All-America and Academic All-America honours in the same season !!! Grayson came to Duke along with the other Frosh who would win Duke’s most recent National Championship in 2015. He only saw 322 minutes in 35 games, but it was in his last game that he burst onto the national consciousness. His 16 points on 5 of 8 shooting and 5 of 5 from the Charity Stripe in the last 21 minutes of the game earned him the “One Shining Moment” Award at the at the annual Duke Awards Banquet. A new award that his play caused its creation !!! Last season, Grayson was the workhorse of the team, logging in more minutes per game than any other player. He was the team leader in Scoring and Assists, and 3rd in Rebounding. His efforts earned him finalist honours for the Oscar Robinson and Jerry West awards. He was included in the 10 players as part of the 2016 John Wooden All-America Team. At the end of last season, Grayson delighted us all by announcing that he was returning to Duke to fully matriculate. He will follow in the steps of another Duke great, Jay (then Jason) Williams, who also fully matriculated in 3 years. My favourite aspect of his announcement was assuring all of us that it was never an option for him NOT to graduate from Duke as education is as important to him as is his performance on the Court. Allen is a member of The Fellowship of Christian Athletes, whose “… vision is to see the world impacted for Jesus Christ through the influence of coaches and athletes.” He also is known to Tweet Scripture verses often. It has often been said that he was brought up with his values properly ordered. The idea of “… faith, family, education, and then basketball … “ are values not exactly in vogue these days, but oh to wish they were !!! 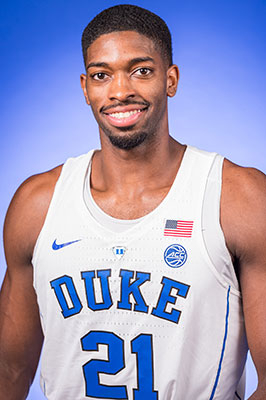 The season ahead sees him being joined by Grad Student, Amile Jefferson and Senior Matt Jones as Team Captains, along with Luke Kennard, a whole array of talented Frosh, and other upperclassmen. 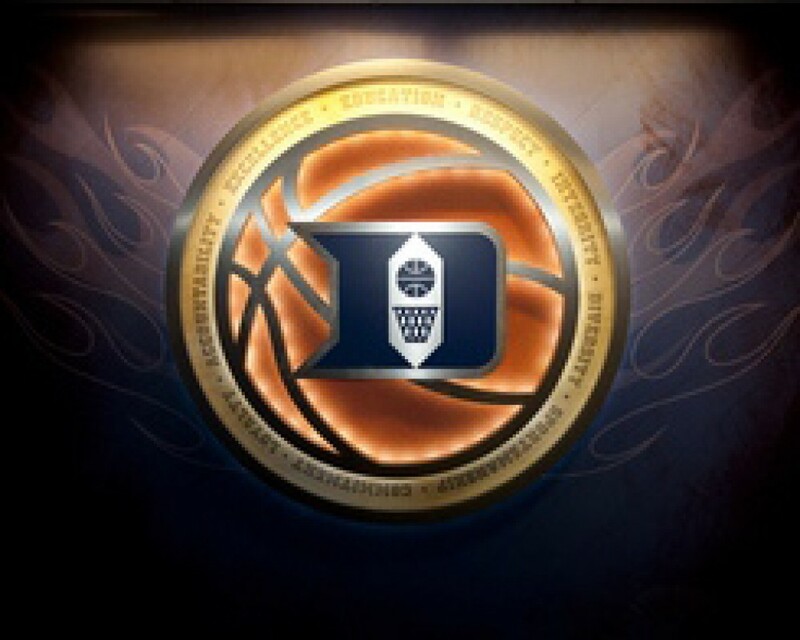 Grayson is another wonderful player brought into the Duke fold to become a very cherished member of “the family” !!! We wish him a wonderful, fulfilling year !!! I consider myself to be a very faire-minded person, who is willing to always look for something to laud a person for. Occasionally there are players who disappoint, or who do not fulfill the reason for their recruitment. Sometimes there’s a difference of opinion on a player, and other times it’s a statistical certainty. 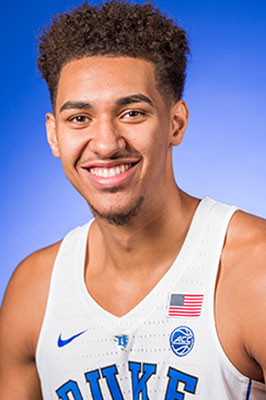 I gave Chase Jeter the nickname “Butterfingers” last season, not because he reminded me of the candy bar, but because he was a total disappointment every time he set foot on the Court, and a statistical nightmare. I think before I continue further, I think it’s important to remind you that we promise to always provide honest and unabashed opinions without hate. So, what I say now is what I’d say to Chase or Coach K face-to-face. Jeter represents why I think the ranking people are sometimes full of beans. ESPN made him the their #11 Recruit, Scout called him their #15 Recruit, and Rivals had him at #16. Was this based on information provided by his family, his coach, or who ??? They all were clearly flummoxed !!! On a more humorous side, maybe, just maybe, once his father knew Duke was actively recruiting his son, he did everything to make him more attractive. Why, you ask ??? Maybe because it was revenge since Christian Jeter was a bench player on the UNLV teams that Duke beat back in the early 90’s !!! What perfect revenge, eh ??? So, every 2.44 minutes that Jeter was on the Court, he was either committing a Personal Foul or a TurnOver !!! Do you see why I nicknamed him “Butterfingers” ??? Now, let’s be faire … Jeter also yanked 61 Rebounds and 62 Points in 254 minutes, so when he wasn’t committing a Foul or TurnOver, he was either scoring or rebounding to the tune of 3.84 per minute. That’s a net positive, but the type more likely found on a team in maybe Division II basketball !!! 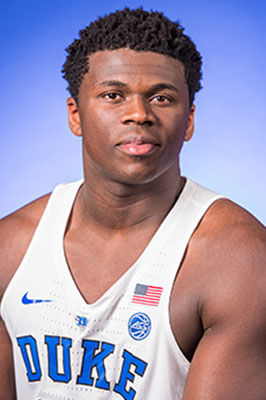 The aspect of his season last year that annoyed me the most was that Coach K kept playing him, while declaring that he had a “short bench” when he had Sean Obi and Antonio Vrankovic willing, wanting, and waiting for a chance to play, and not be a detractor to the team. If I were a betting man, I would have put money on the idea that, after the season, Jeter might have been set down and told that he might be better off elsewhere. That apparently didn’t happen because he’s on this year’s roster again, presumably because Coach K doesn’t want to admit that he recruited a kid who was a dud. Considering that he has had 4 guys recruited and left, he could be doubling down. On the other hand, it demonstrates that Coach believes he can make something out of Jeter. Let’s sincerely hope so, or I promise to continue asking why Coach K recruited Obi and Antonio. Instead of making Jeter a dead cert to start next year, he has seen Frosh recruited behind him with better chances to Start. Let’s hope he’s getting an education !!! We wish him the best of luck !!! Ro was spot on, as usual !!! Luke was one of only 6 guys to play in every Duke game last year, averaging about 27 minutes. He shot 42% from the Floor, 32% outside the Arc, and almost 89% from the Charity Stripe. Once Amile went down, he became an integral player on both sides of the Court. Coming off the Bench, he contributed immediately, making his mark. 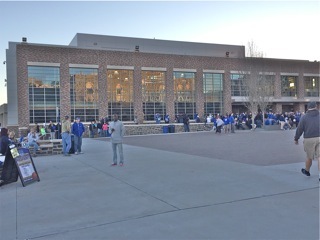 In ACC play, and after Derryck Thornton left, he stepped up his game and matured wonderfully. Luke comes back to Duke this season after apparently putting on 22 lbs of chiseled muscle, and apparently grew an inch since last year !!! It ought to give him a little more of an edge against opponents assigned to him. Last year he averaged a little under 4 Rebounds per game. His quickness and anticipation got him 34 Steals, which turned out to be 4th on the team. The part of Luke’s game that I enjoy the most is that he is an offensive threat from anywhere on the Court. While many love it when a player can launch a Trifecta, it’s not often that a player can drive the Lane as well as “stop & pop” with the same aplomb. Luke is that guy. Some nights he’ll remind us of JJ Reddick (like Ro predicted last year), then other outings he brings back thoughts of Seth Curry, while still other times, he shows the grit of Bobby Hurley. I know that Duke is flushed with talent this year, meaning hardly anyone is a dead cert, cementing their position. I think that whatever role Coach K puts him in, he will give it his all and flourish. We wish Luke another great season !!! When Javin DeLaurier committed to Duke I had to look him up because I had never heard of him considering I try to keep track of every recruit associated with Duke. I had to wonder why a Top 40 Recruit would commit to Duke when they had the #1 Recruit, at his position coming in, and also a consensus Top 3 Recruit, who happens to be a versatile Forward, committed to Duke. To be fair, Harry Giles had not yet committed to Duke at the time of DeLaurier’s commitment but he was widely expected to do so. Something DeLaurier was aware of when he told ESPN, “… we are not done yet …” in terms of recruiting. Subsequently, Giles did commit and so did one of the top Centers in the class, Marquees Bolden. 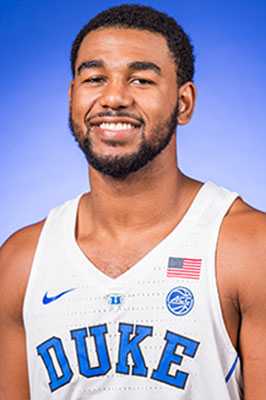 Then you had to consider the returnees, Sean Obi, Antonio Vrankovic, and Chase Jeter – All big strong Forwards who would surely relegate DeLaurier to a minimal role. Not many kids these days want to put themselves in such a position, however, the more I read about the player the more I realise how different he was. Firstly, while this in no way diminishes his basketball ambition, he has aspirations of becoming a Doctor and may have chosen Duke for this reason among others. Secondly he realises his shortcomings as a player and thinks he can get better playing at Duke. Rated as a 4 Star Recruit, DeLaurier is considered to be a decent rebounder with a high ceiling for development. Listed at 6’10″ and 220 pounds he should be one of Duke’s most athletic players. 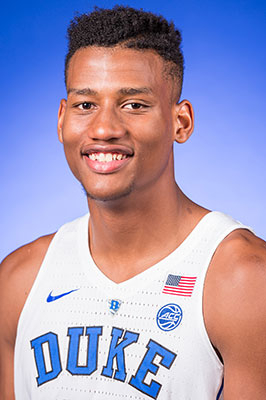 Considering that Harry Giles is expected to miss some time due to injury don’t be surprised if DeLaurier steals minutes from upperclassmen in the coming season. Basketball is in his genes, as his 6’3” mother played at Rutgers and his father is 6’7”. Why mention this? Well they have three younger sons. DeLaurier could be the new Plumlee, maybe. He also comes across as a very grounded individual, somewhat like Shane Battier. The quote below is the most thoughtful and insightful quip I have from an 18-year-old basketball player. 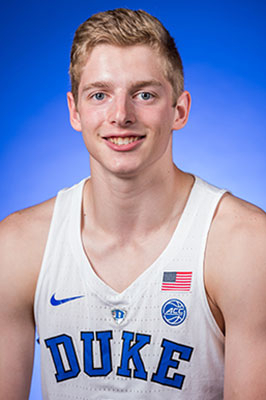 Jack White will be the first Australian to play for Coach Mike Krzyzewski when he suits up for Duke in the coming fall. Most Australians tend to play for Mid-Majors and have at least one year of High School or Prep School experience. 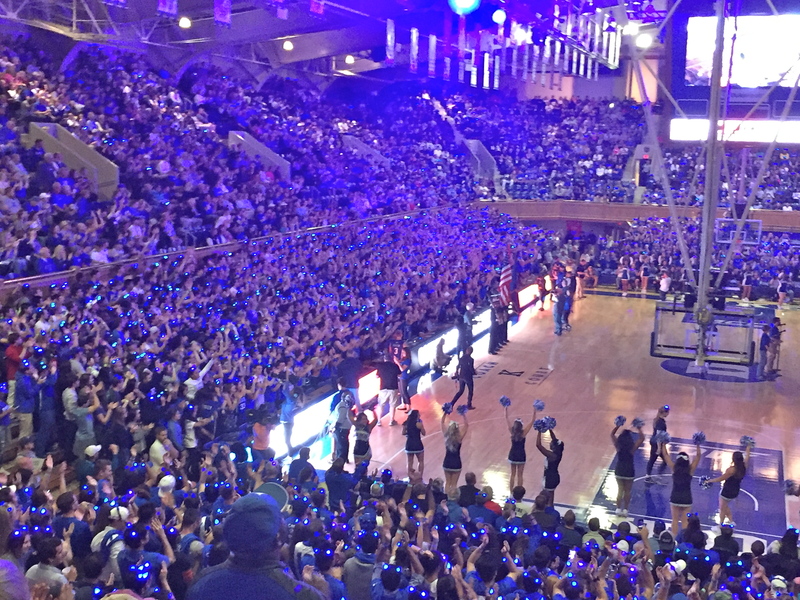 White came straight from “Down Under” to Durham though he did visit Duke back in February. 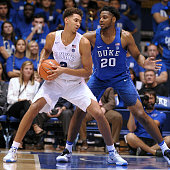 Duke has one of the deepest rosters in college basketball, and Coach K tends to keep his rotations as short as possible, so it will be an uphill battle for a little heralded international player to get meaningful playing time, however, he seems to be aware of the situation, and has a lot of confidence in himself. He will get his moment to prove himself, whether it is a huge window or a tiny one. 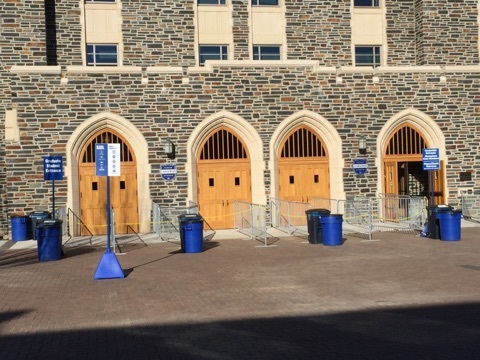 Everyone always does at Duke, just know, for most, the margin of error can be very small. Jack was originally listed as a 6’7”, 220 lb. Power Forward, in most recruiting reports, however his Duke profile has him currently listed at 6’5” and 215 lbs. and he is considered more of a Wing/Slasher type player. He will most likely be competing for playing time with established players such as Grayson Allen, Matt Jones, and Luke Kennard, and maybe to some extent, Jayson Tatum and Frank Jackson. You couldn’t ask for a tougher bunch of talent to crack, but Duke must have seen something in White to offer him a Scholarship out of the blue. His only other publicly known offer was from Boise State. White says he was asked to work on his perceived weaknesses, by the Duke Coaching Staff, which are “lateral quickness and ball handling,” in the extra time he had before getting to Durham. Duke Report thinks that if White is successful at Duke, it could be a way for the Coaching Staff to recruit one of the hottest emerging talent beds, outside the USA and Canada, which is Australia. “Down Under” has been a recruiting pipeline that constantly keeps the St. Mary’s Gaels in contention in the West Coast Conference. 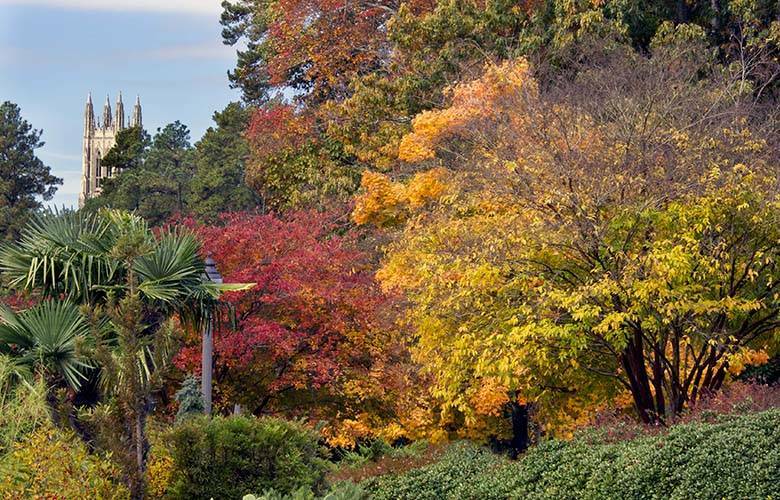 In addition, “Auzzie-land” recently produced talent such as Patty Mills and Ben Simmons. The most talented players are trained at the Basketball Australia Centre of Excellence, previously known as the Australian Institute of Sport, where they focus on developing players individually rather than focus on team oriented goals such as winning. For 2 years, players are given “… world class sports science, nutrition, physiotherapy and psychology services while they complete a rigorous training schedule and attend high school” according to The Guardian. Every current Australian NBA player has spent time here; from Andrew Bogut, the 2005 #1 NBA Draft Pick, to Ben Simmons (he only spent 3 months there before enrolling in an American high school) the 2016 1st NBA Pick. That is probably why Jack White is so confident in his ability to contribute at Duke right away. This is what he told the Guardian a year ago when they visited the centre. Coach K saw first-hand the development of Australia when they were 1 of 2 teams to threaten the USA’s dominance, on the international stage, at the Rio Olympics. Sean came to Duke after a Freshman year at Rice, so, after sitting out a year due to his transfer on the Practice Squad, he suited up for his first eligible season last year. While at Rice, he logged eleven (11) “Double-Doubles,” leading his team in Rebounding (26 games) and Scoring (13 games). He also enjoyed Freshman of the Week honours, and was a member of the Conference USA Commissioner’s Honour Roll. Right now, at this point in time, at the beginning of another season, we don’t have the foggiest idea why his potential or prowess was never used last season. He logged only 27 minutes in total !!! Sean is a “wide body” even after slimming down to 255 lbs. this year. I date myself when I say that he reminds me of Wes Unseld of yesteryear. He is the type of player no opponent would want to have to go thru. I have to believe that when Coach K told him “We need you !! !” during his recruitment, he meant it. I sincerely hope that Coach didn’t mean for him to be just on the Practice Squad !!! We wish Sean all the best, and look forward to seeing him get some playing time !! !